• Students with digital, communications, design and STEM skills from ANU, UC and CIT who are looking for part time or casual jobs and internships. • Startups, innovative small to medium size businesses and government agencies looking for students. VIP GUEST We are delighted to announce that attendees will be welcomed by the Vice Chancellor Brian Schmidt. Minister Meegan Fitzharris, ACT Government Minister for Higher Education, Training and Research will be our special guest speaker. The Minister is no stranger to the importance of meaningful, interesting internships; she has completed internships at Oxfam NZ and at the United Nations Headquarters in New York. 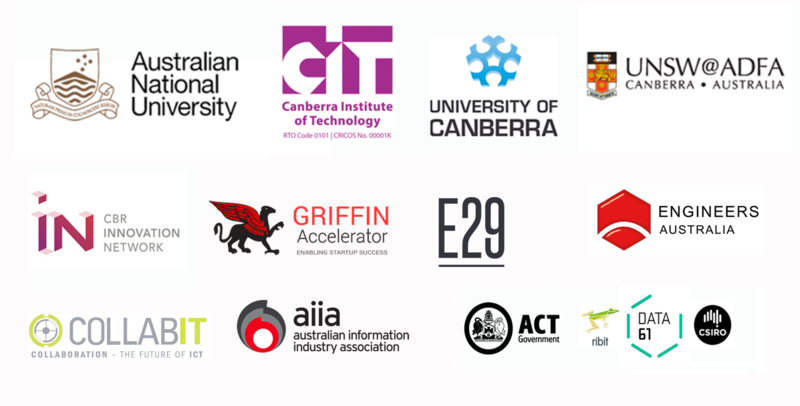 We’ve returned for our third event in the Territory with our fantastic event partners ANU, CIT, Uni of Canberra, CSIRO, Canberra Innovation Network (CBRIN) and the Canberra Business Chamber. A big thank you to the ACT Government for its support to ensure these important connections across the Canberra community can be made. Over 50 amazing roles will be available for over 100 students speed-networking on Monday night. We can't wait to see you there! Free! Drinks and refreshments will be provided. •A warm welcome from the ANU Vice Chancellor, Minister Fitzharris, ribit, net and friends • Company CEOs and Startup founders give a brief 30 secs or less pitch about their business • Students pitch themselves to the businesses you want to work with in a series of 6 min “speed-dates”. • Students can mellow with a mentor, in between dates or learn the art of persuasion from one of our ‘pitch-doctors’. • Refreshments and snacks provided, with time to network before and after the session.